Pole & Hose Hooks by Swimline are strong, sturdy and durable, made out of strong aluminum. This is an excellent rust proof alternative to regular plastic. 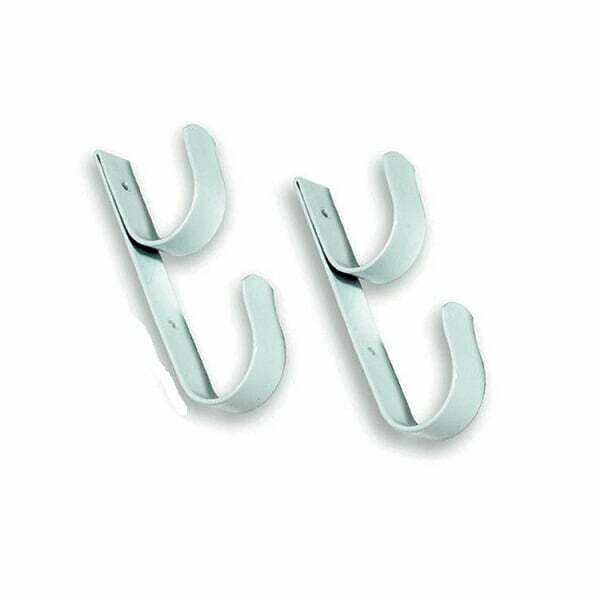 The storage hooks provide perfect storage for pool equipment accessories like aluminum poles and swimming pool hoses. The result is easier storage and access to swimming pool maintenance equipment. Swimline is an expert at Swimming Pool Supplies, so you can rely on their name for top quality.